Each year, the NSYO welcomes auditions for entrance into the orchestra. 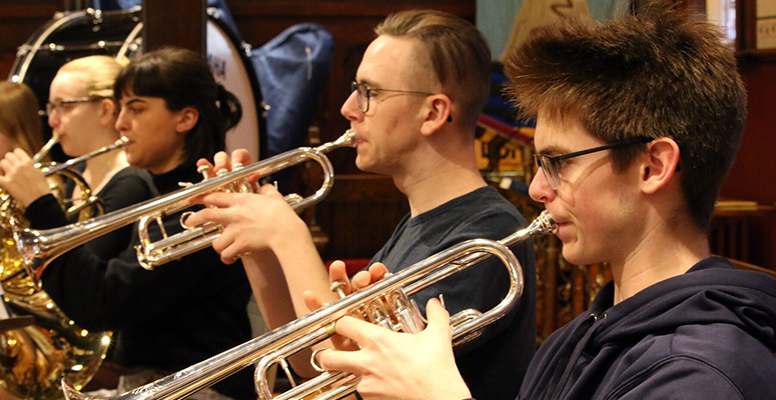 If you’re a young musician between the ages of 12 and 26, we encourage you to apply! Our auditions are done by video, consisting of a short solo, scales, study, and orchestral excerpts. The video audition should be a file uploaded to YouTube, Vimeo, or another online file-hosting service (please make it “unlisted” so it’s not public, but viewable to anyone with the link). A $25.00 non-refundable fee must be included with the application form, or can be sent via e-transfer to KyrieRobinson@symphonyns.ca. Your audition should be sent by email to KyrieRobinson@symphonyns.ca. Auditions are judged by a panel consisting of our Music Director and the appropriate instrument coaches. If you’re not successful in this year’s audition, we strongly encourage you to try again next year! For more information or any questions, please contact us: KyrieRobinson@symphonyns.ca.